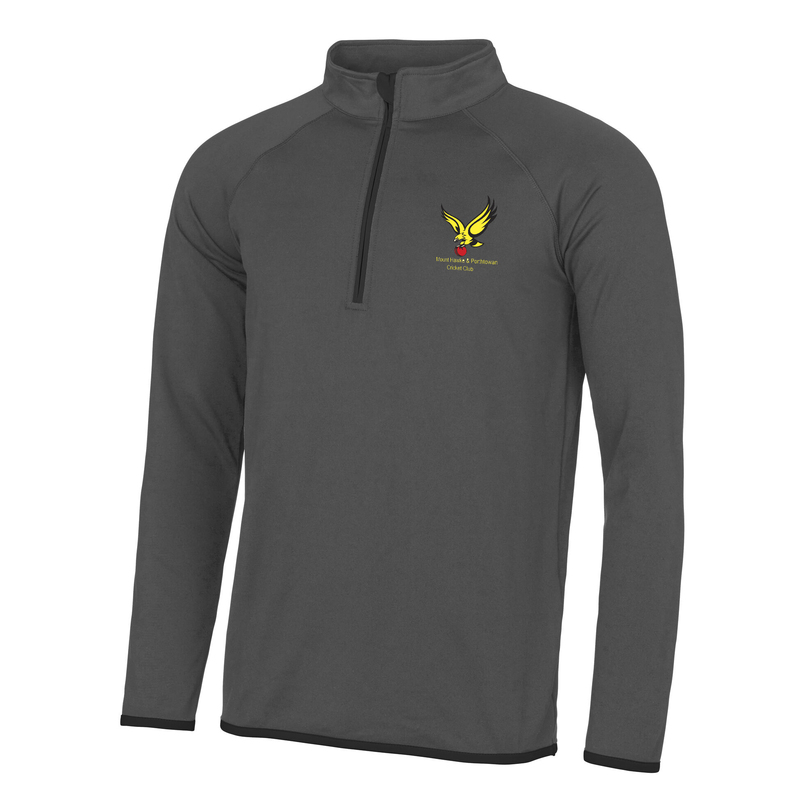 New for 2019...Player request for a 1/4 zip jacket....very much in trend with sports people at the minute. Stay warm and comfortable in this CoolFit ½ zip sweat which is ideal for layering. A tight fit with self-fabric, contrast colour binding at the zip, cuffs and hem. The raglan sleeves create ease of movement. Size S 38" M 40" L 43" XL 45" 2XL 48"